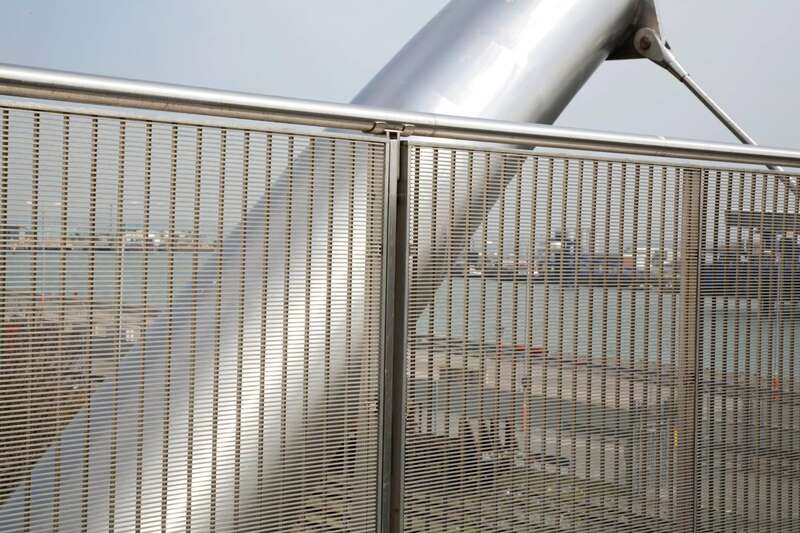 Belmont’s innovative range of grilles is a cost effective solution and offers the capacity for individual flair and creativity for both prestigious and modest applications. 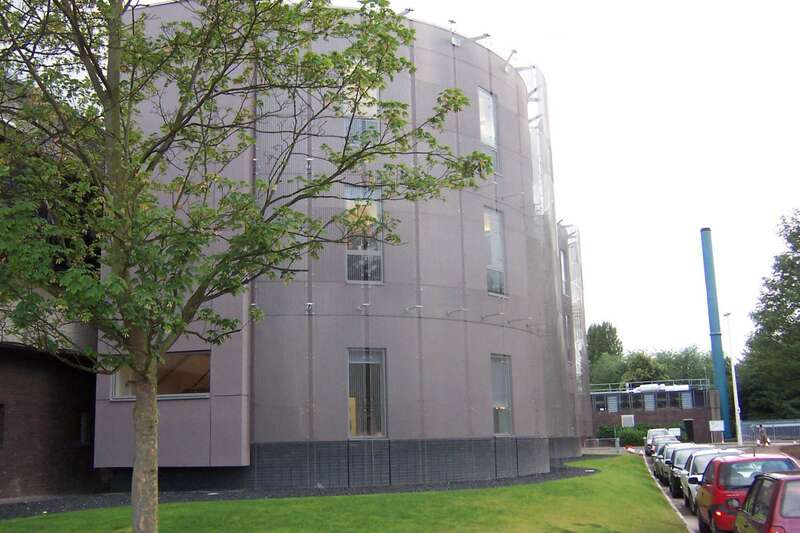 Our design team can liaise with the nominated architect or engineer to develop ideas, assess loadings and produce calculations to provide the optimum solution for a wide range of projects. 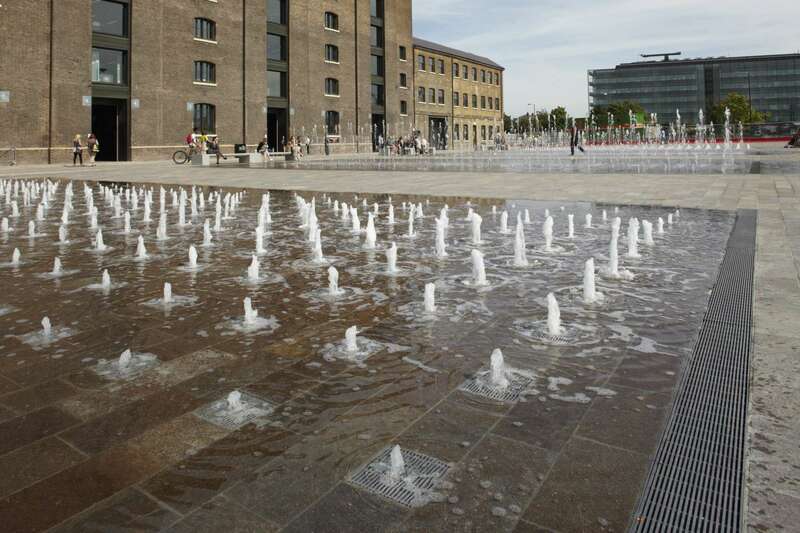 We have successfully completed a vast array projects for a variety of high profile companies and practices who have commissioned us, a small selection of which you can see within this section including: Afon Towy Bridge, Broadgate Ice Rink, Celtic Gateway Bridge, Granary Square, Loughborough University, Millennium Bridge, British Museum and Kings Cross Refurbishment amongst others. 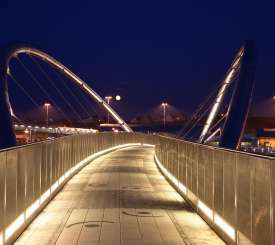 For further information regarding these, or any other commissions, please contact us. 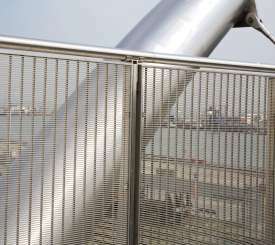 Local contractor Rowecord Engineering approached us to provide balustrade/flooring grilles which would allow natural light to pass through the grille but still provide a safe barrier for pedestrians and an aesthetically pleasing concept. 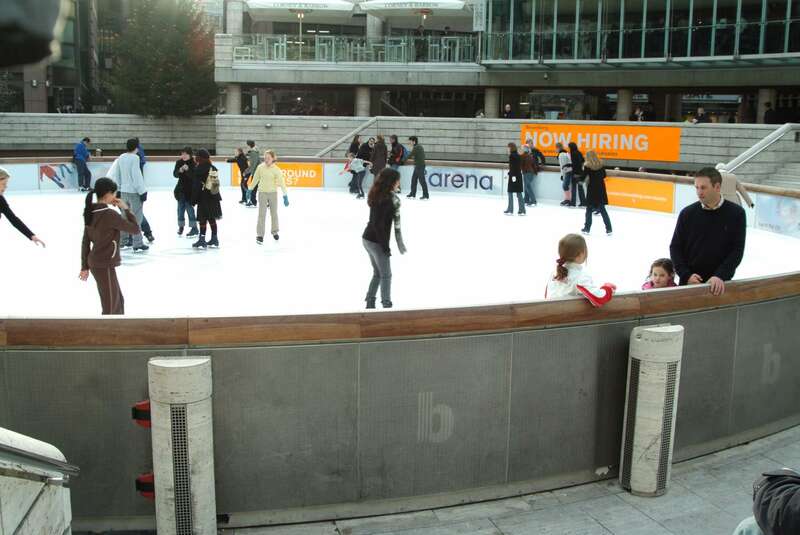 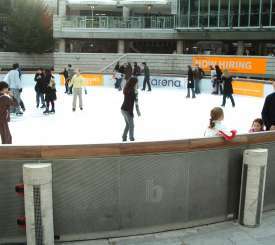 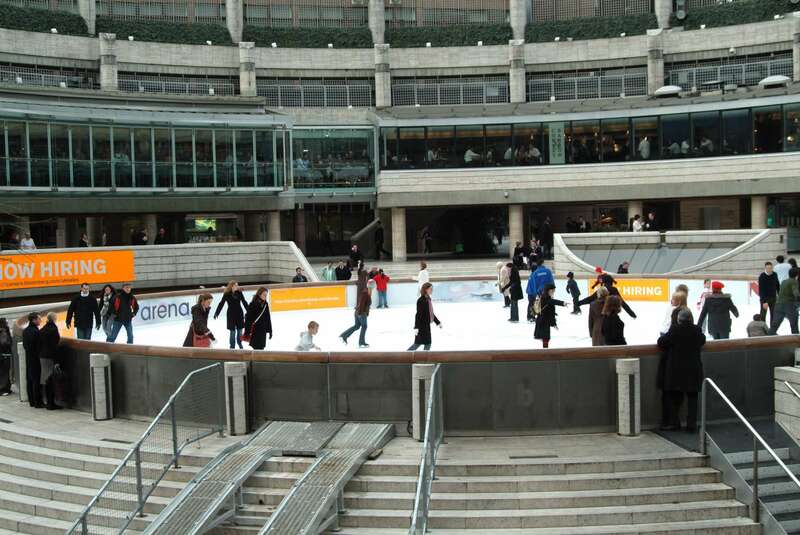 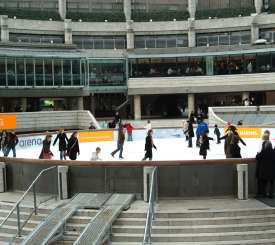 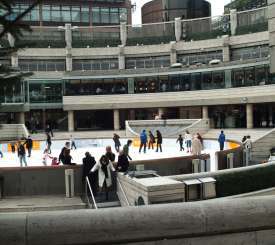 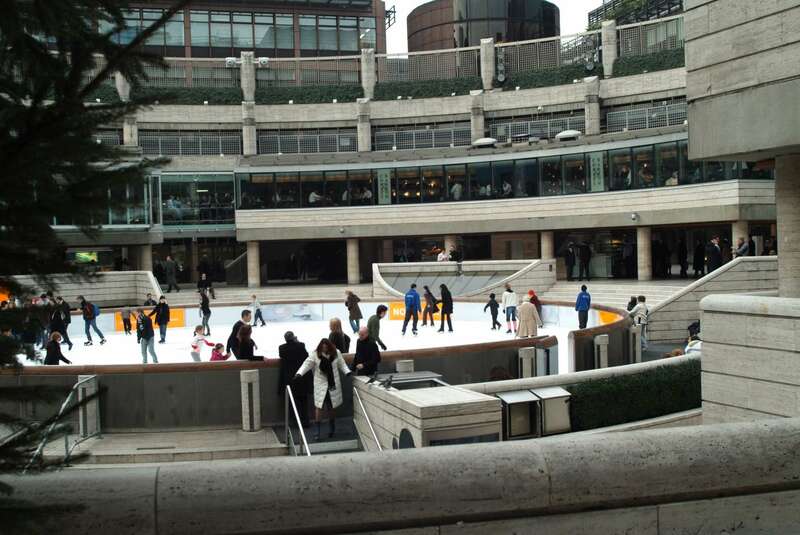 Belmont were invited to discussions with Arena Associates to provide a balustrade including bead blasted logo and a system capable of being dismantled to provide an exhibition area or ice rink alternately throughout the year. 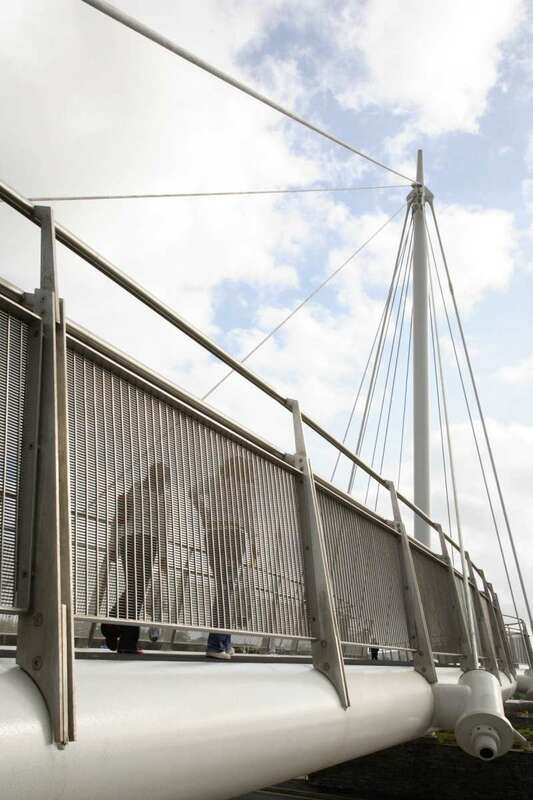 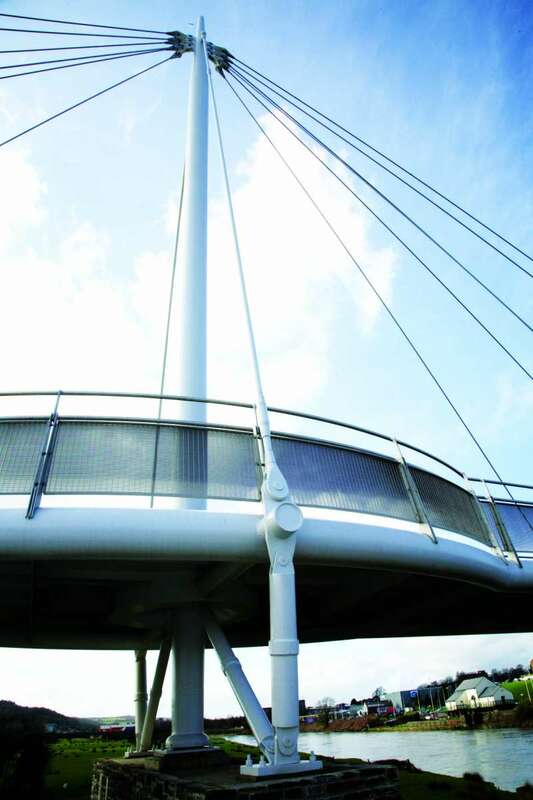 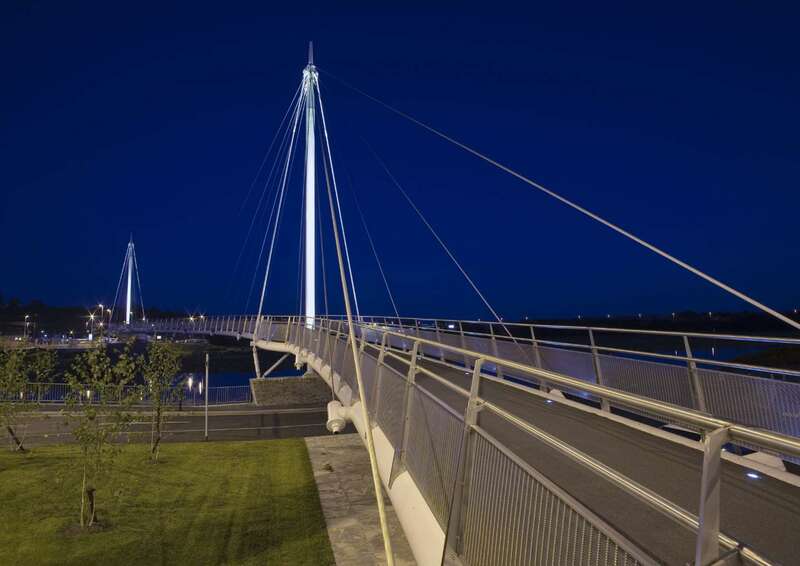 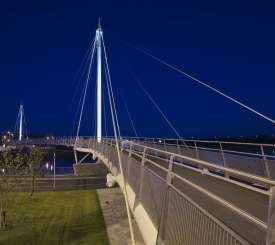 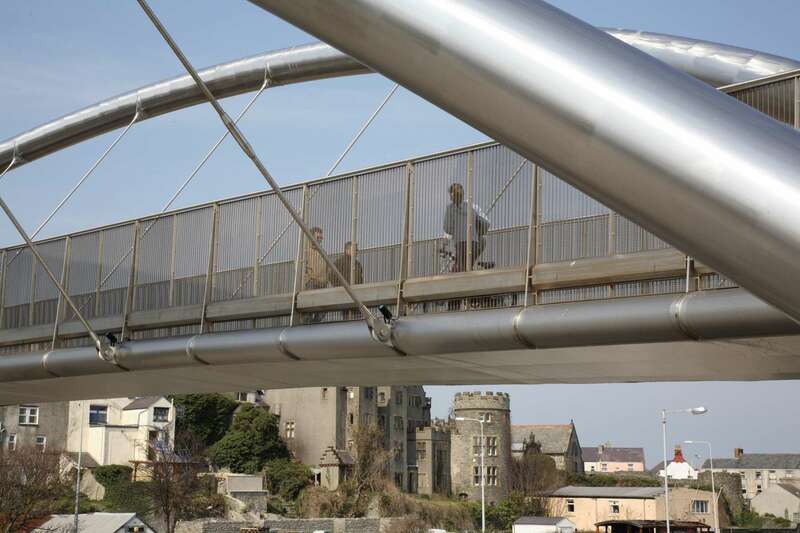 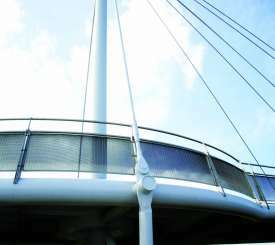 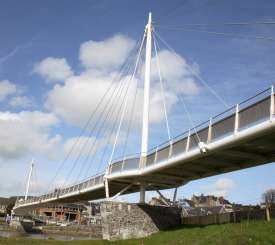 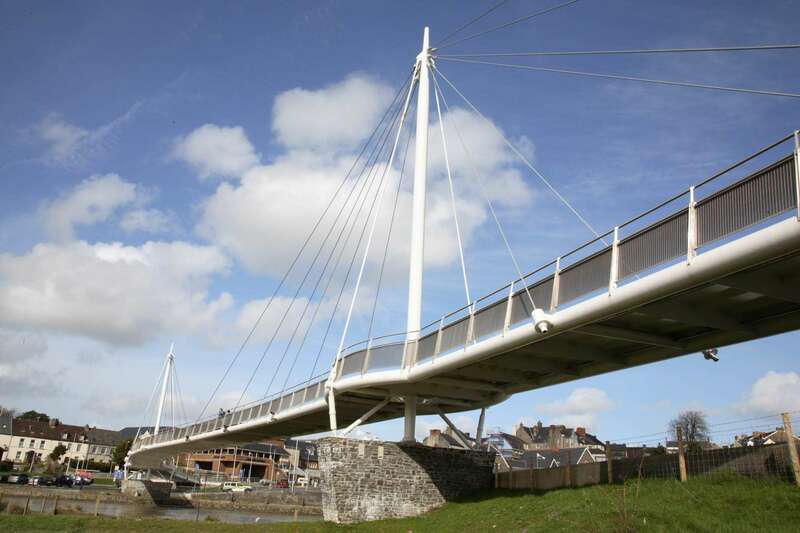 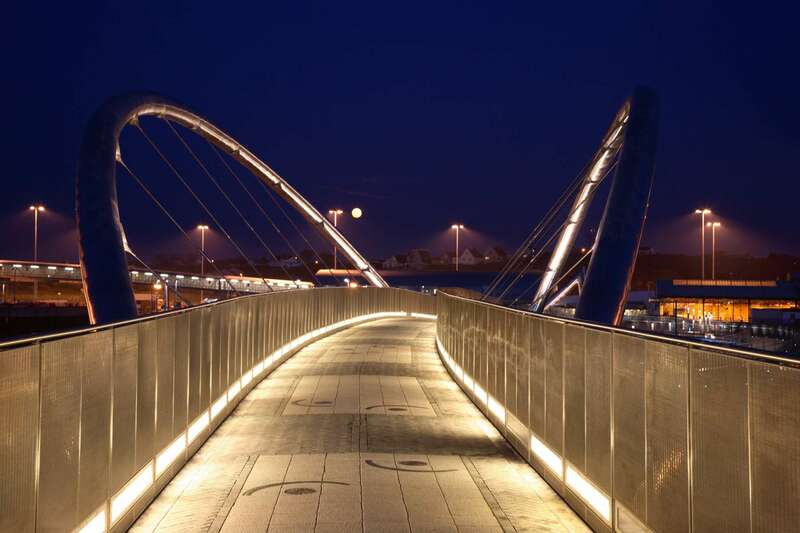 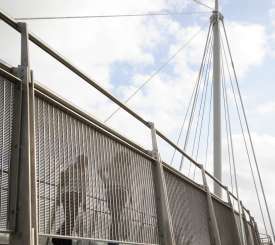 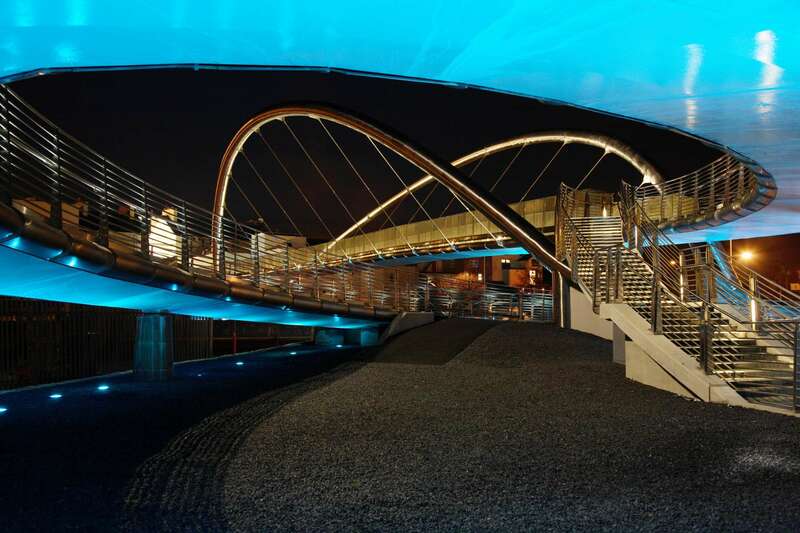 Balustrade panels were designed and manufactured by Belmont for this prestigious pedestrian bridge which guides 2.4 million people annually from the Holyhead Ferryport to the town centre and will be an Holyhead landmark for years to come. 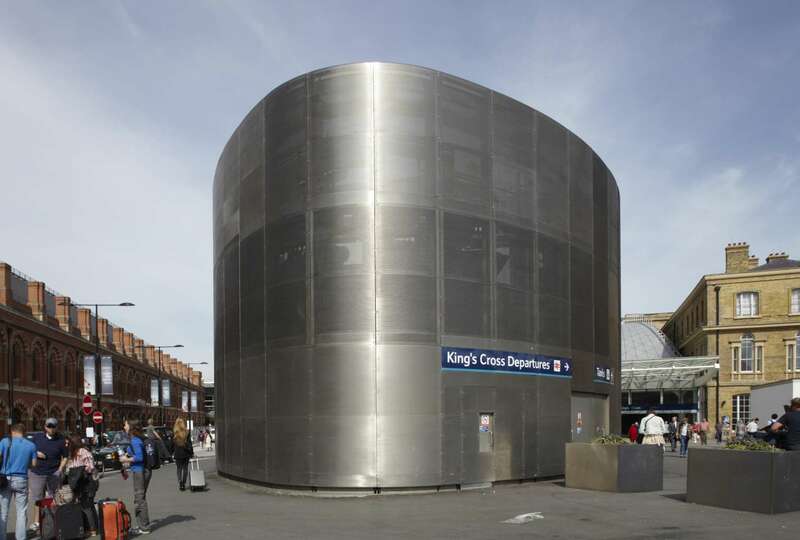 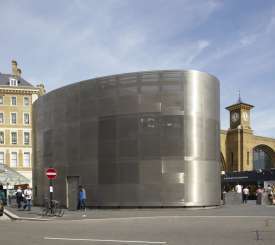 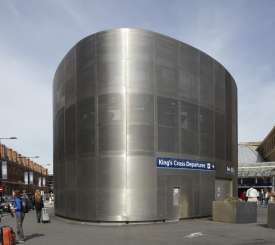 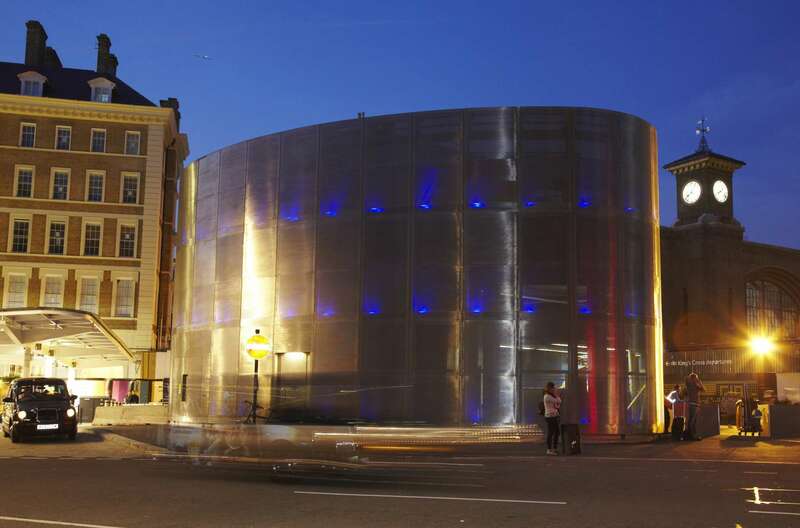 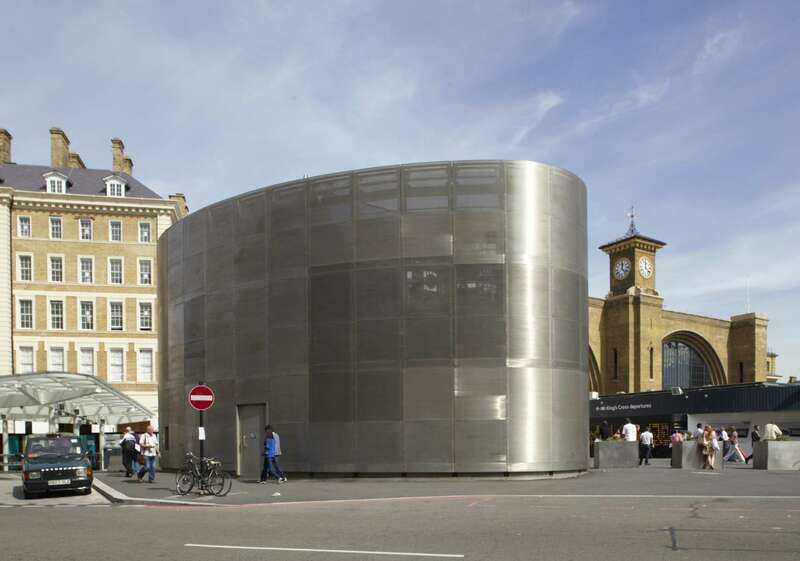 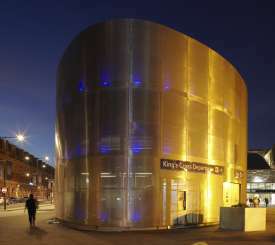 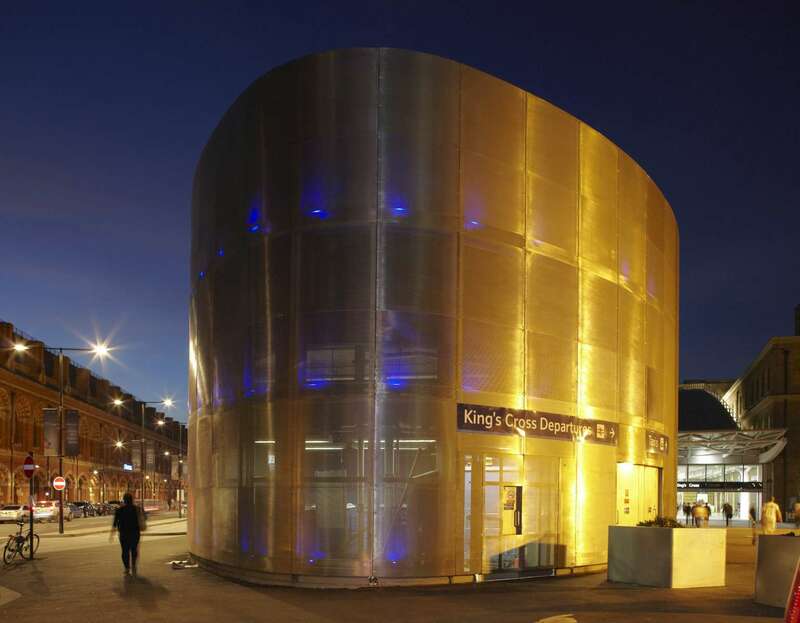 One of London's leading architects Allies and Morrison contacted us to provide an egg shaped façade to conceal distribution fans at ground level outside the main entrance that provide air for users of the underground. 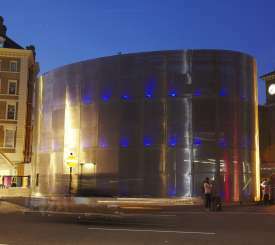 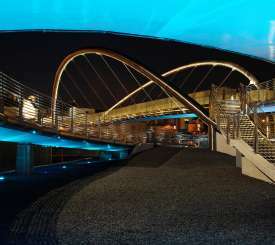 Different aperture sizes were provided to offer varying flow rates and illumination in the evening allows the façade to glow blue. 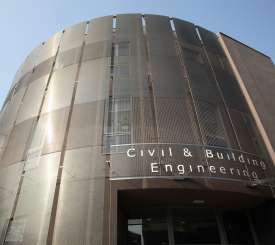 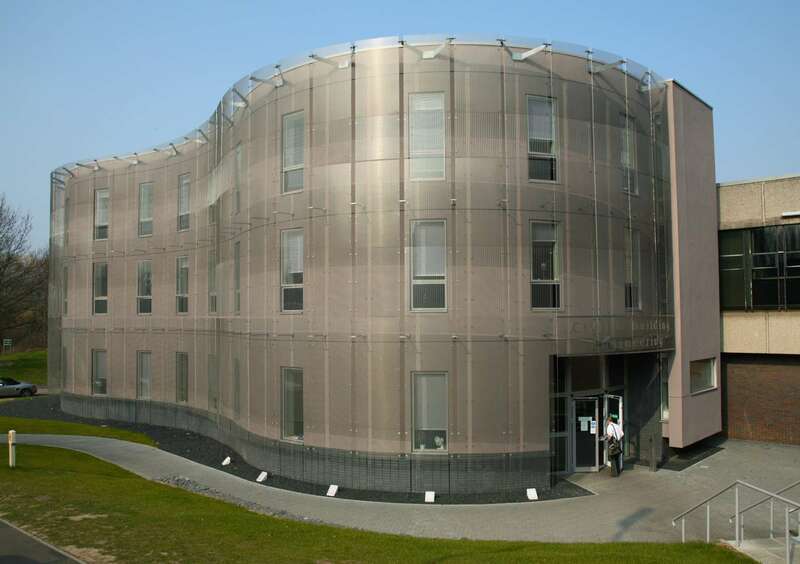 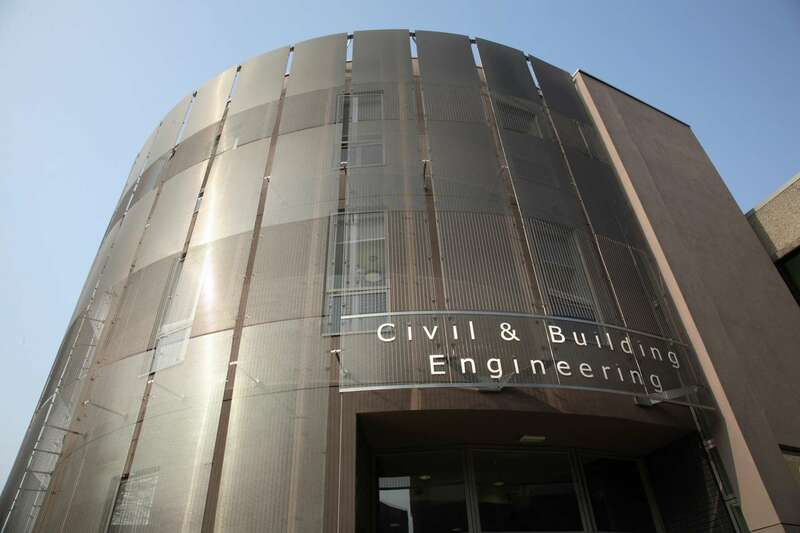 We were approached by architects Swanke Haydn Connell who specialize in innovative buildings for health and education authorities to provide a solar shading façade which would reflect a proportion of strong sunlight away from the building. 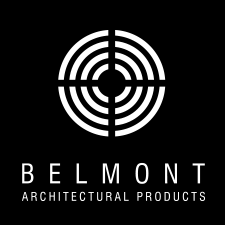 Belmont designed a unique profile to satisfy this concept which passed all tests prior to full manufacture. 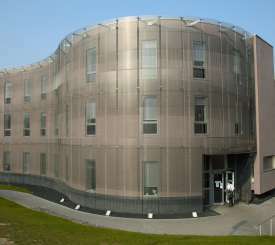 The building shape was also breathtaking, comprising no straight sides, only convex and concave outlines. 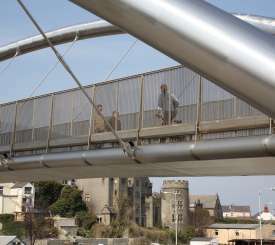 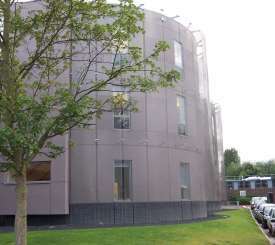 The façade was given the impression of floating due to it being a metre off the ground level and supported by our stainless steel wire rope system suitably tensioned. 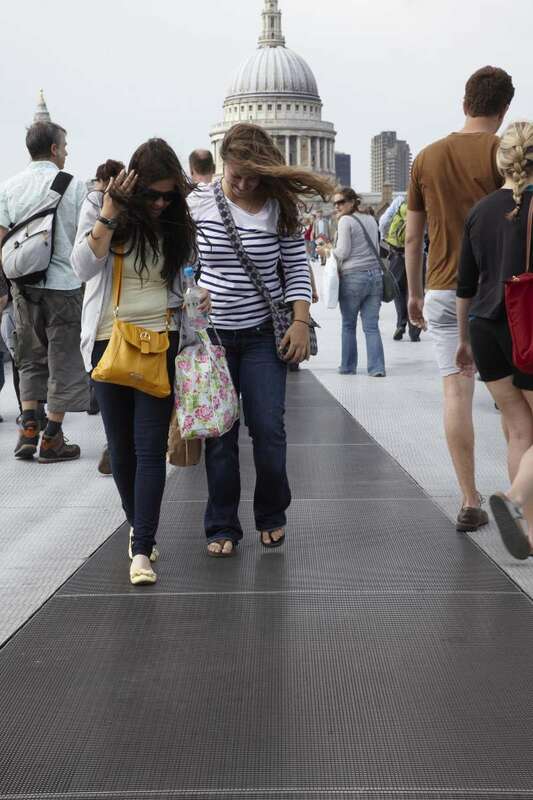 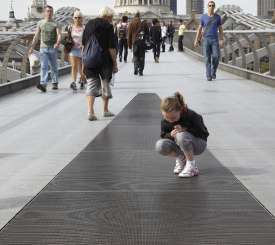 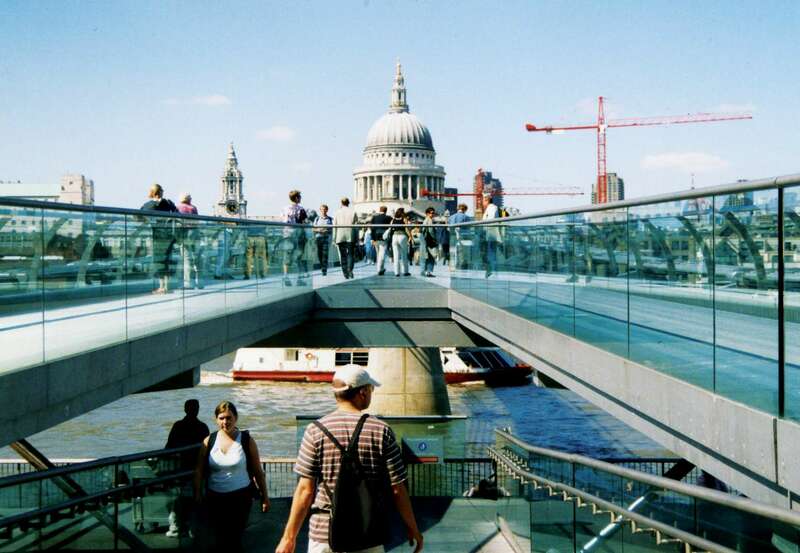 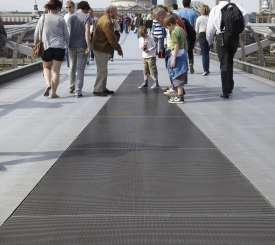 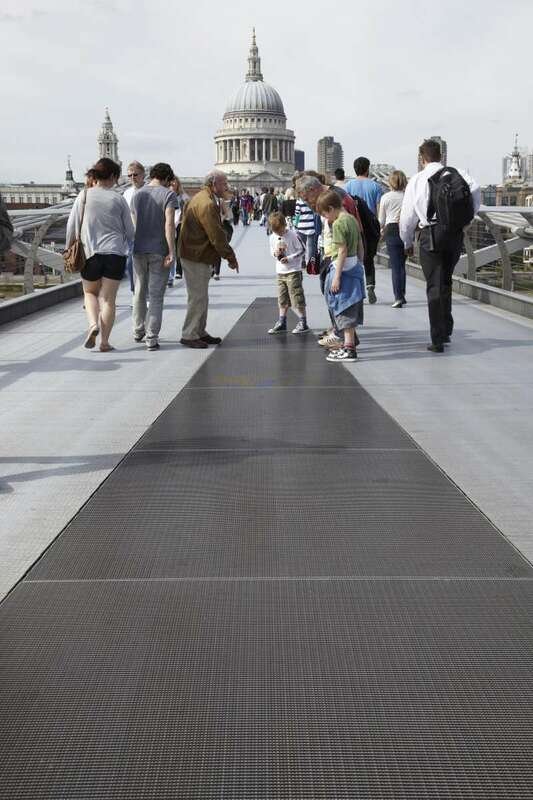 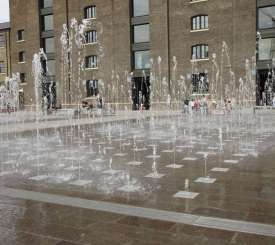 Leading architects Foster and Partners contacted us to provide a unique triangular stainless steel slip resistant walkway feature at the Tate Gallery side of the bridge. 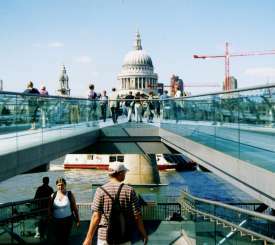 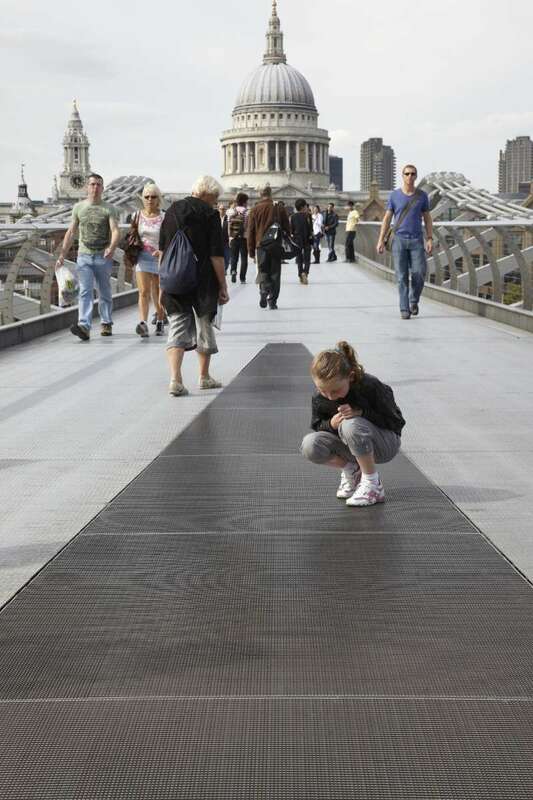 This iconic bridge made all pedestrians look in disbelief as they could view the River Thames through the grille beneath their feet. 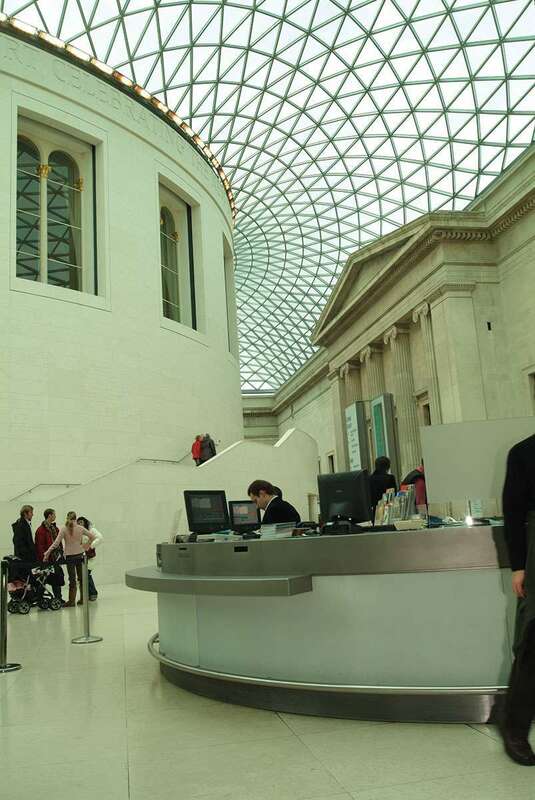 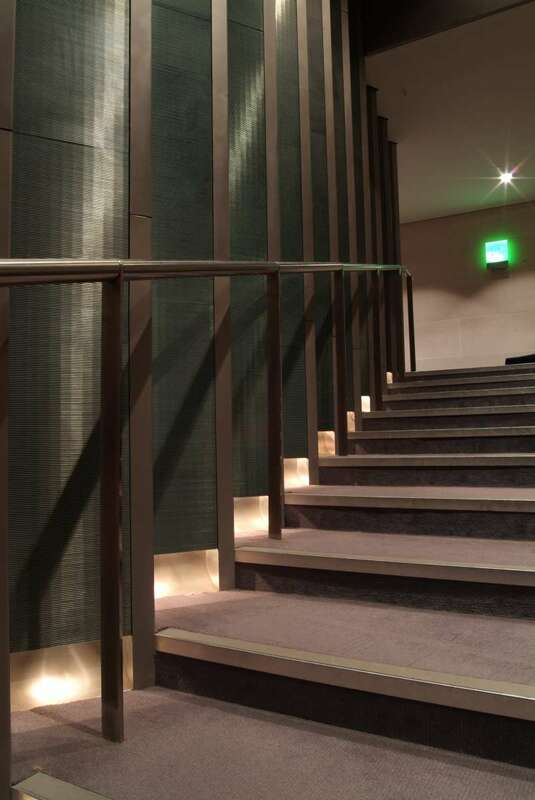 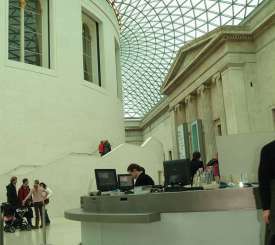 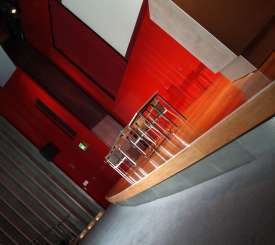 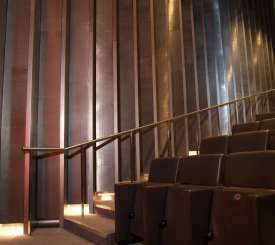 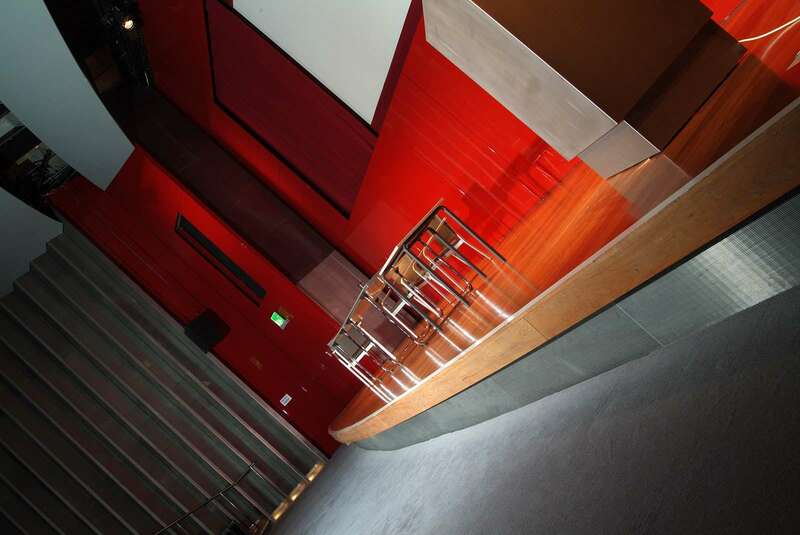 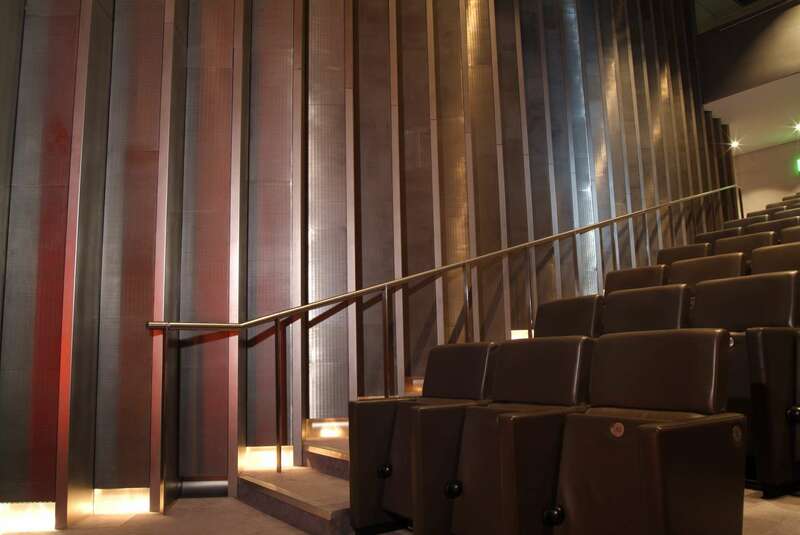 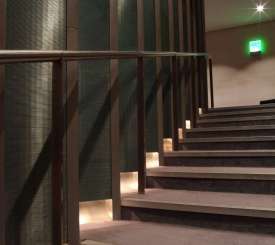 We worked in unison with Foster and Partners during the refurbishment of the Museum to provide air conditioning grilles for reception desks, speaker and air conditioning grilles in the auditorium and lighting grilles on the stone stairways. 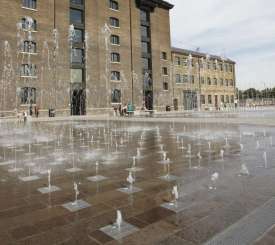 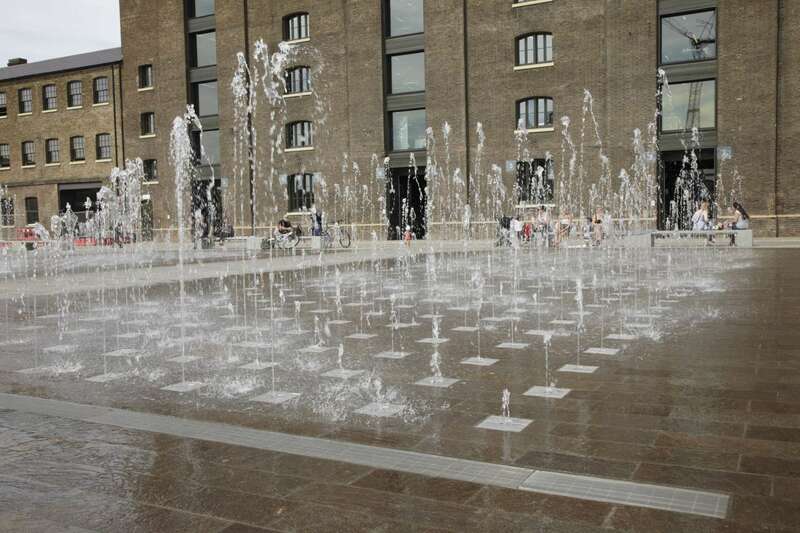 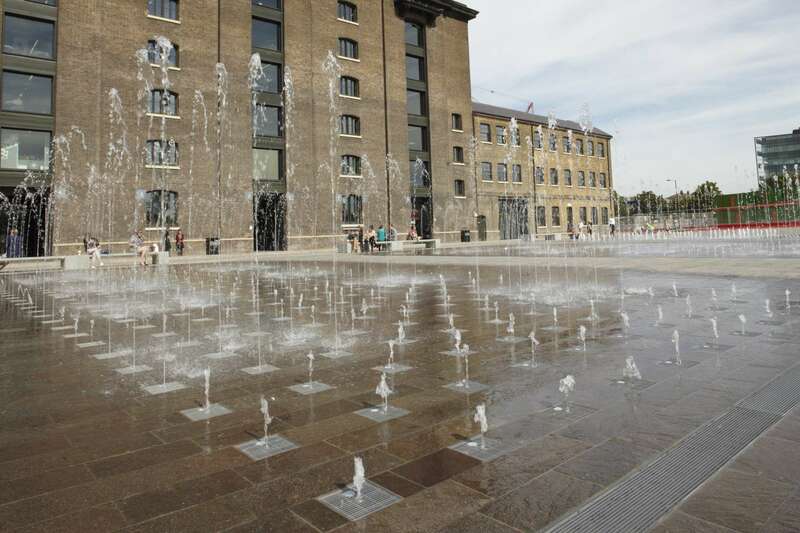 In collaboration with Amron Associates and Fountains Workshop Limited, over one thousand drainage units were designed and manufactured to allow both fountains and lighting modules to be housed in the grille units providing an exciting yet effective drainage system.